Rasam or Saaru is nothing but "South Indian soup". Every South Indian meal begins with piping hot rasam being served with rice (with ghee/clarified butter drizzled on top of it). A meal with hot, spicy rasam rice with some fried poppadams on the side makes a great comforting meal. 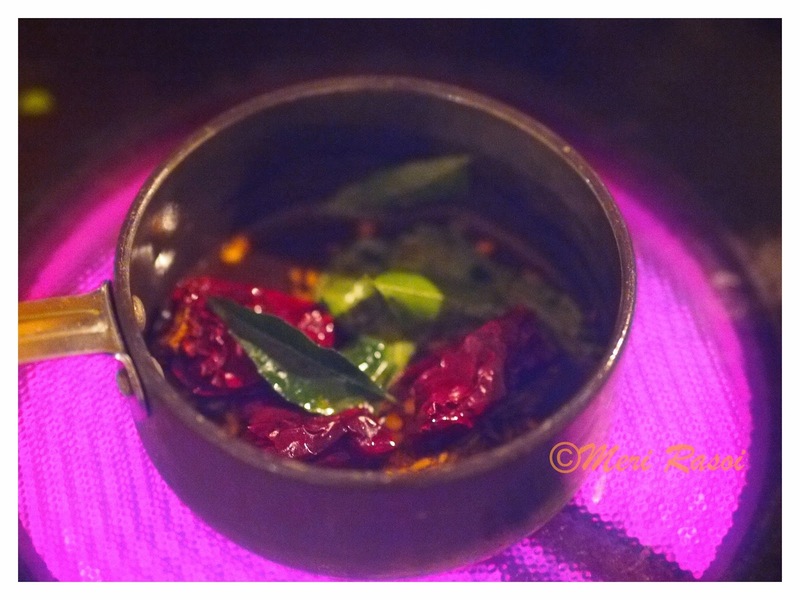 The rasam can also be served as a spicy soup. 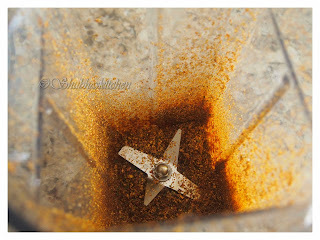 There are varieties of rasams prepared in a South Indian Household. It varies from region to region. I myself prepare different types of rasam. 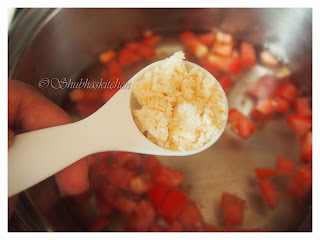 I have already posted LEMON RASAM (Kattu Saaru) , TOMATO RASAM and SOUTHE BEEJA SAARU recipes earlier. The recipe that I will be sharing today is little similar to the previously posted Tomato rasam but in this case, we do not use Lentils. 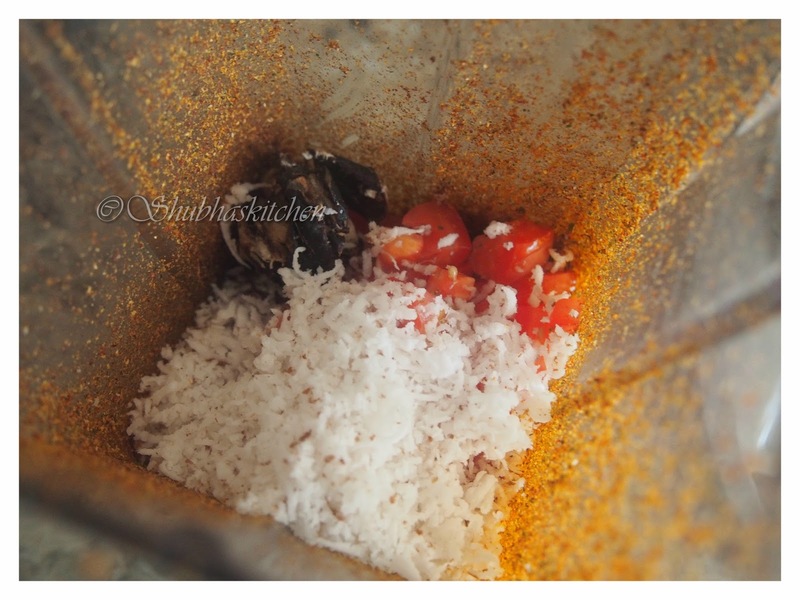 In this recipe , the rasam powder is ground with freshly grated coconut, little tamarind and tomato. 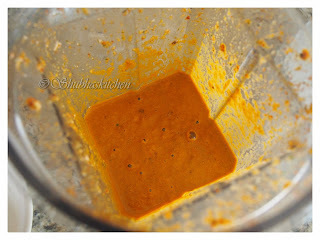 This ground mixture is then added to cooked tomatoes and cooked a little while. Lastly a tempering is added to the rasam and the rasam is served with hot rice. This is yet another of my mum's recipe. She can prepare a delicious meal even with most basic ingredients.I have mentioned this earlier too that she is my GURU when it comes to cooking and I will be happy if I become half the cook she is. Some days , we would have sudden guests just around the meal time. 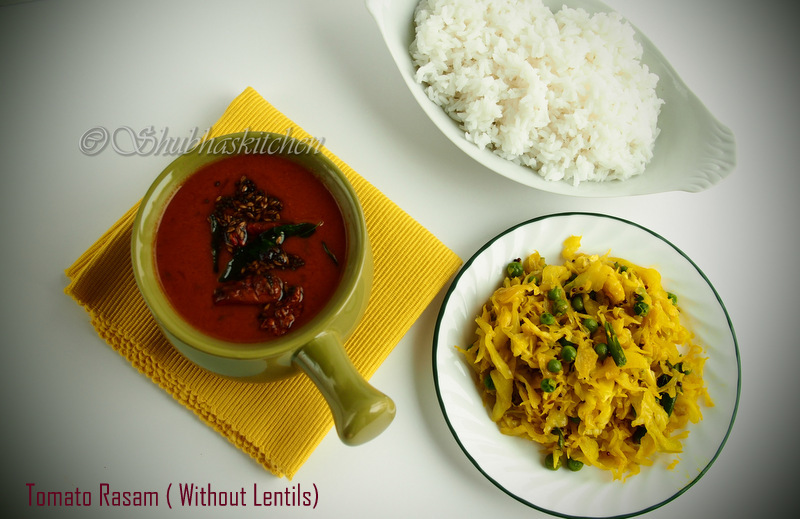 Sambaar (South Indian lentil based curry) would always be there during meal time but when you have guests , you need to have more than one dish with rice. So during such situations when my mum had to whip up something quick, she would prepare a rasam like this one. 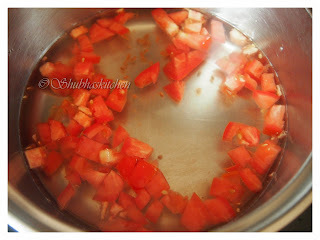 Cook 1/2 cup heaped chopped tomatoes with 2 cups of water. Also add jaggery and green chillies. Cook for about 10 minutes. To this prepared powder, add the grated coconut, 1/2 cup heaped tomatoes and a small piece of tamarind. Grind it to a smooth paste using a little water. 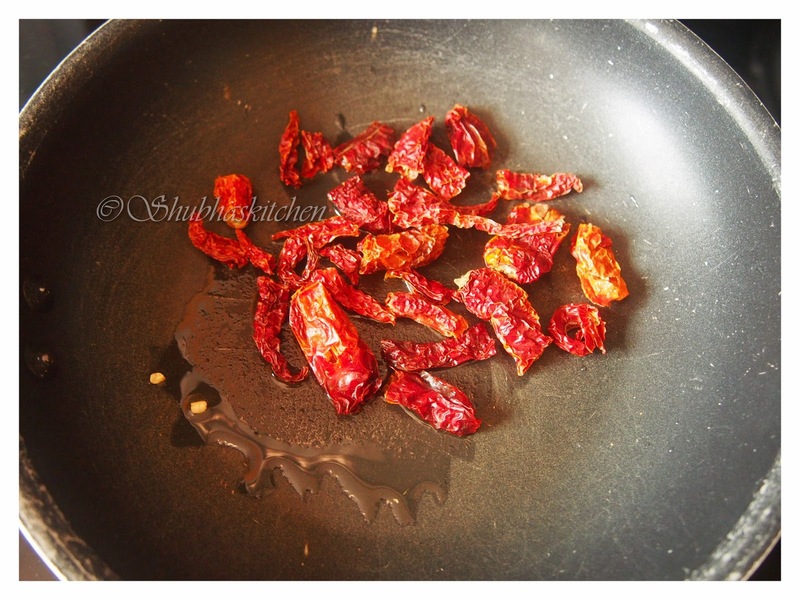 Once the tomatoes have cooked, add the ground spice paste to it. If the consistency seems thick, you can add little water. Once the consistency is perfect, add the salt. 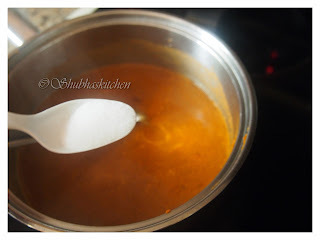 Bring it to a boil and then simmer for 5 minutes. Add the chopped cilantro and turn off the heat. To prepare the tempering, heat 1 tsp of ghee / clarified butter. 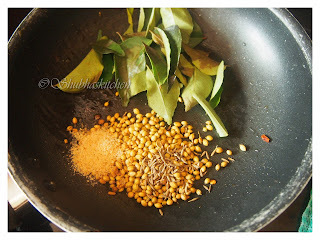 When hot, add the cumin seeds, mustard seeds, dried red chillies and curry leaves.When the seeds start to splutter, turn off the heat and add the tempering to the rasam. 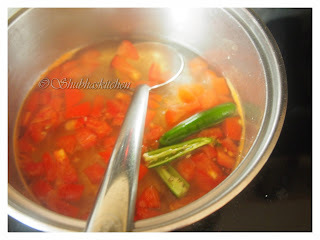 Serve the rasam hot with rice or as a just soup. 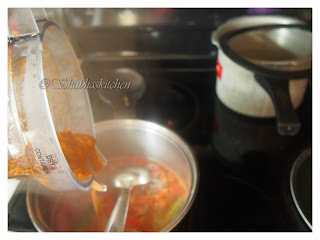 This post is a part of the Blog Hop event "Rasam Specials". Do check out many more varieties of Rasams prepared by my dear friends and bloggers Anu (Garlic Tomato Rasam) , Piyali (Rasam-Tantalize your taste buds), Vani (Horsegram Rasam), Jayashree ( Rasam -Delight of good food)Kattina Saaru and Padma (Beetroot Garlic Rasam and Moong dal rasam). Looking at your beautifully presented Rasam - very tempted! yummy n tasty luking rasamm..nice presentation. 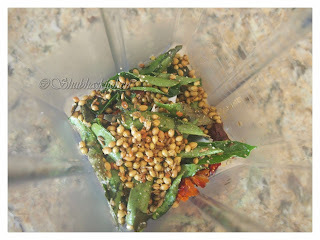 One of my favorite rasam recipe. It looks delicious and beautiful! Adding coconut in rasam is new to me...shall try this soon. thx for the recipe! Imagining the aromas which must have emanated while you prepared the tempering my senses are twitching with delight. 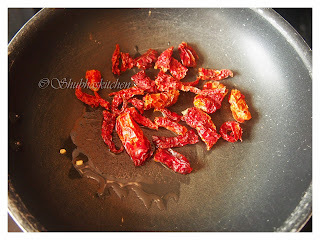 What a heady mix of byadgi chillies, hing, curry leaves, must have smelt gorgeous. I loved your clicks and as always you have in depth explained with lovely pictures. This is one delicious recipe made to perfection by you.I am loving it through and through my dear. Gosh!!! I'm salivating here over this all time fav Indian soup. Simplicity at it's best! 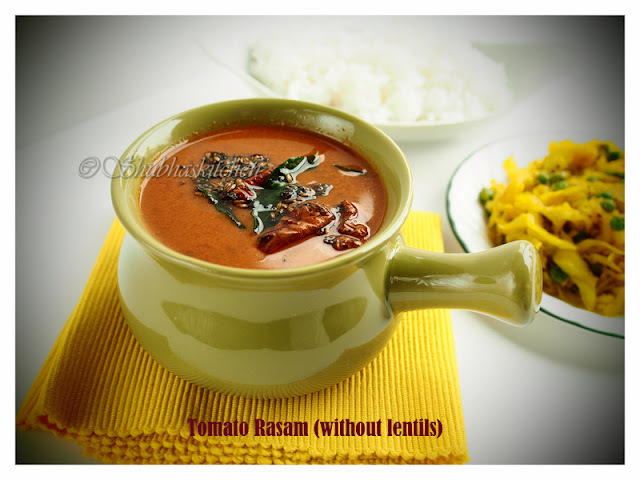 !..Always love tomato rasam..simple to make and divine to enjoy! !..Simply delicious!! Lovely rasam, looks really yum. Drooling here looking at your pictures. Nice recipe !! This rasam looks so flavourful! Lovely rasam Shubha, looks inviting, shall make it some time. I have not made this one. 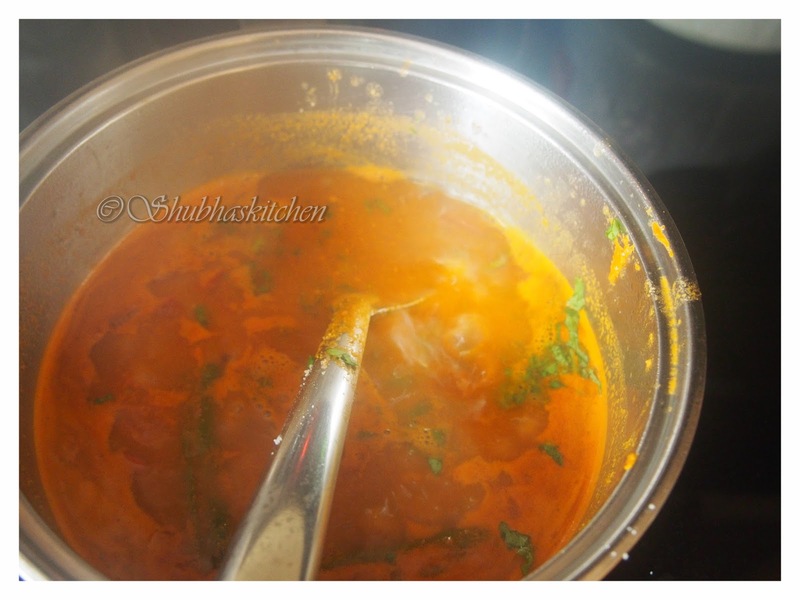 My all time favorite tomato rasam..A nice comforting dish! A new,rich & colorful rasam........sounds interesting. This soup is so mouthwatering and so spicy. I love the idea of having that with rice on the side. Yum! Tempting rasam and u presented well with beautiful prop.. 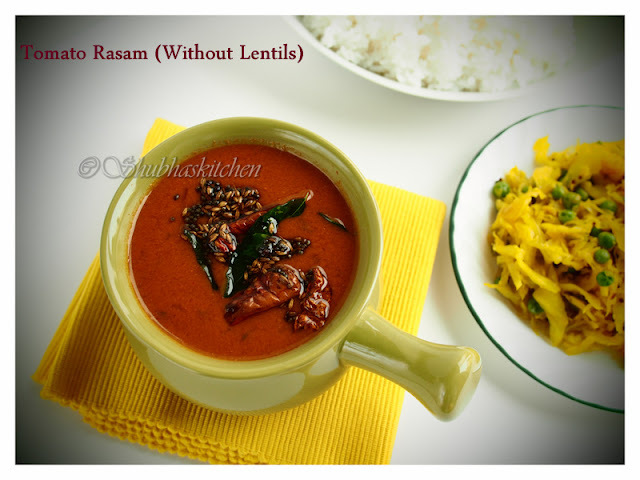 I didn't know you can make rasam without lentils. This sounds a good one. 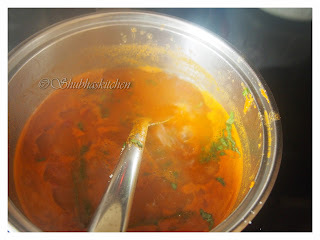 I was luking for a tomato rasam recipe since so long... finally found on ur blog.. the perfect rasam ever.. love it!! Healthy and delicious Rasam.. Love the colour..